A huge, and we mean a really huge task for every girl in the days leading up to her wedding is SHOPPING! Yes, we know exactly how difficult, challenging and confusing a job it is to shop for your wedding. Especially, shopping for the outfits you have to wear for the ceremonies. If you have your own ideas, it’s still difficult to find something that matches your imagination. And if you don’t, then you only get more confused when you look at the options. In any case, there’s no reprieve. After all, marriage is one of the biggest events of your life. The pressure is look your best is just too much. And we completely understand you. In their own words—We don’t design clothes, we design dreams. Wow, nothing like a designer that knows exactly how big and important marriage is for a girl. It’s nothing short of a dream, very appropriately described by the team at Rani’s. 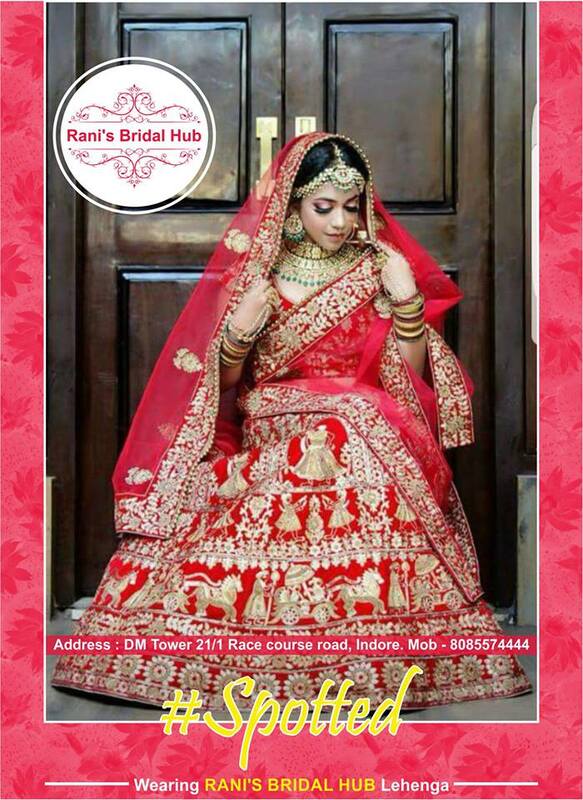 They specialize in Designer Suits, Evening Gowns, Bridal wears, Indo-Westerns, Designer Sarees, Dress Materials, and lots more. That’s a complete package for not just your wedding day shopping but also for the days that precede and follow your wedding! 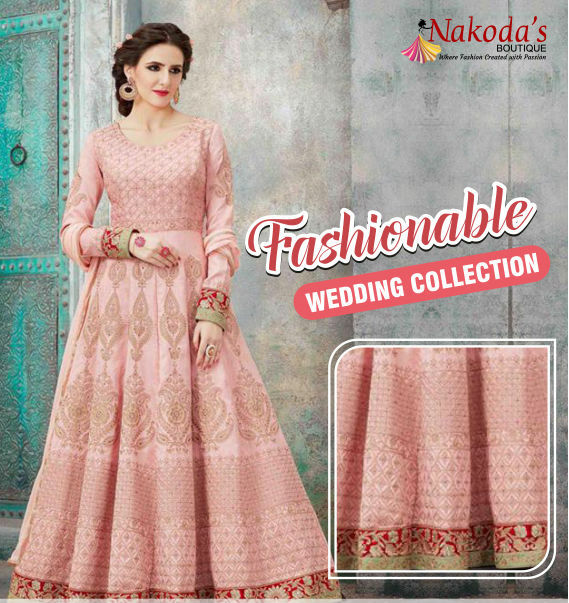 If you’re looking for a shop that houses some of the most rich and varied collection of bridal wear, Nakoda’s may be your place. They offer diverse choices which we’re pretty sure will suit your taste, no matter how different and unique it is. Shop for some of the best Haute Couture, Trousseau and Exclusive sarees at Tisya. 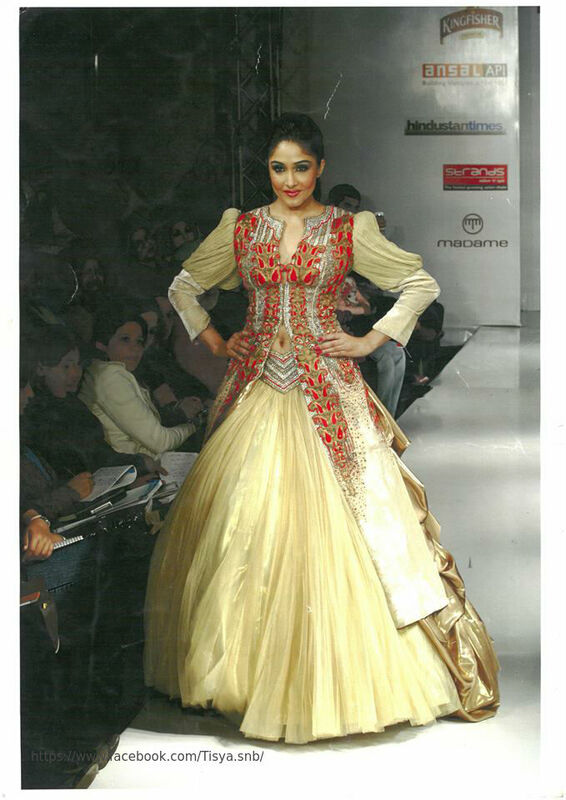 They have an in-house team of designers that specialize in embroidery work. The clothes here are made from beautiful, rich fabric such as crepe, silk and georgette. This is one place where you’ll find everything from the West, the East, and in between. They also have a salon where you could get your pre-wedding beauty treatments done! 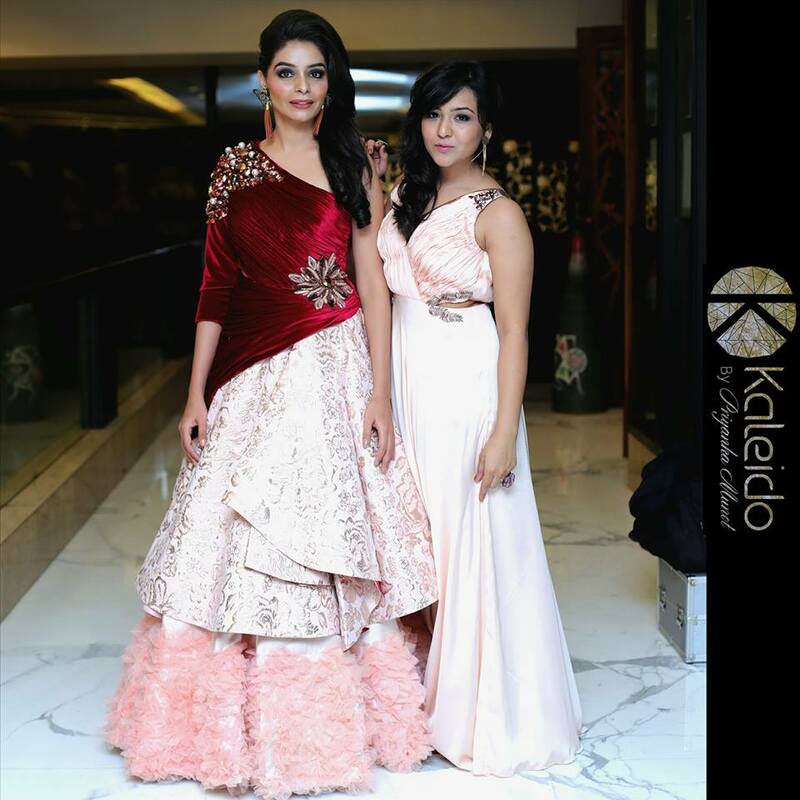 Kaleido is a fashion label by Fashion Designer Priyanka Munot. 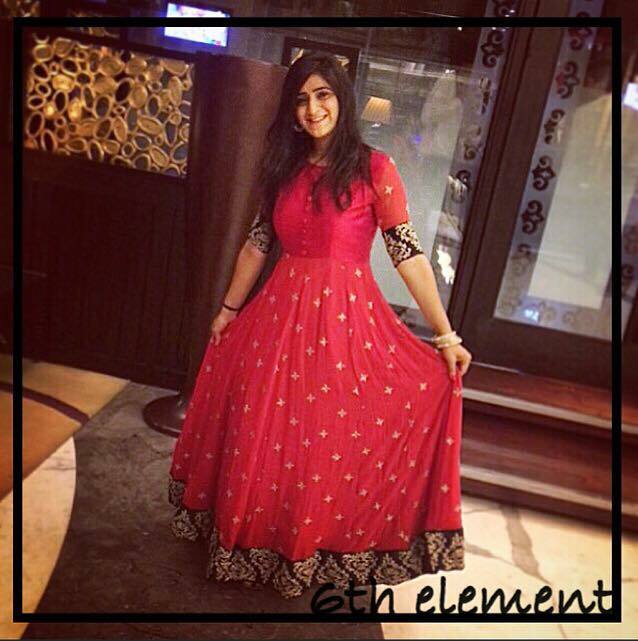 From Lehengas to Anarkalis, Maxi Dresses to Gowns, they have all kinds of options for you whether you’re having a traditional wedding or a western one. If you’re a non-conventional bride ready to experiment with designs and styles, Kaleido is a great place for you to check out. When you’d visit Farah’s Boutique, you’d realized that shopping for traditional wear couldn’t get better. Not just for wedding day shopping, but you’d also find here a wide college of outfits for festivals, functions, or even regular dresses and sarees that you could wear to work. This makes it a complete shop for women, where you can explore some of the most intricate designs and embroidery work. Recognized for its exquisite printed, designer, and traditional sarees, Morni Sarees has been decorating brides and their families since 2009. If you are looking for beautiful wedding sarees that depict the various art forms of India, you don’t want to miss this shop. Not only does it have a huge collection of all kinds of sarees, you’ll also find plenty of options for Lehengas, Salwar Suits, Indo-western wear and evening gowns. With clothes that spell creativity mixed with eccentricity, 6th Element is the fashion studio perfect for brides who want to adopt a slightly more modern look for their wedding. 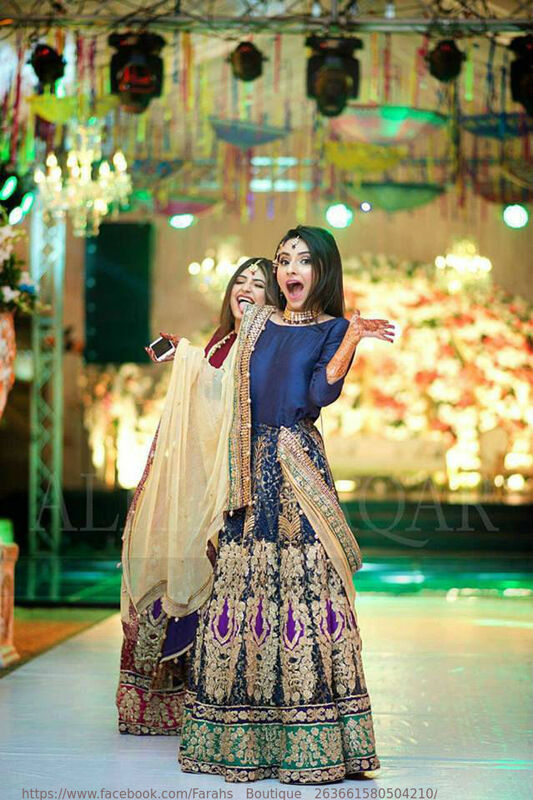 Some of their lehengas are breath-taking, but you don’t have to believe us. Visit the store and find out for yourself! Ethnic lovers will find Banaras Saree Stores to be their dream destination, that’s what the team has to say. And we couldn’t agree more. Precisely because the sarees and lehengas on display, exhibit exciting color combinations and never-seen-before designs. Banaras Saree Stores will capture your imagination like few other designer stores can. How about wedding couture that looks beautiful, ethnic, and royal? Designer Amrit Dawani is quite a talent in that each of his creation looks like a piece straight out of a royal wedding. For brides that want to feel like a princess (who doesn’t! ), The Q is definitely the place you should consider as one of your wedding shopping destinations. You won’t be disappointed. 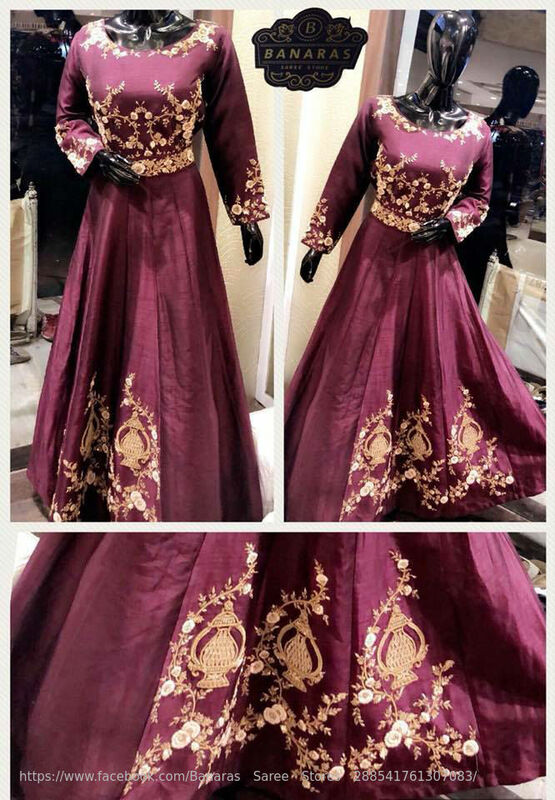 Wedding outfits like you’ve not seen before, that’s Rang Bandhej for you. They are the trendsetters and the team loves to keep up with all the trends of the fashion industry. To feel special, unique and beautiful in your own skin, this is one shop you absolutely must check out! Well, that was our list of wedding stores in Indore. And in case, you’re on the look-out for wedding photographers and makeup artists in Indore, do check our blog. 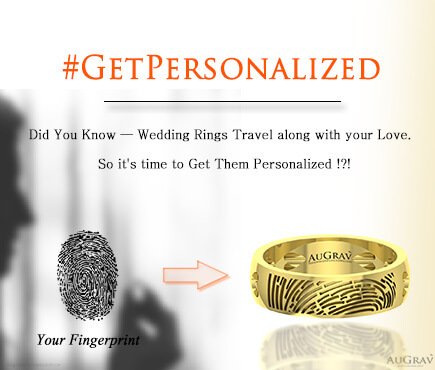 Also, while you’re here, you might want to visit our gallery to find out what new and interesting personalized wedding jewelry we have on offer! « How can you design your own Wedding Rings? Top 10 Bridal Shops in Indore Overall rating: 4.7 out of 5 based on 235 reviews.